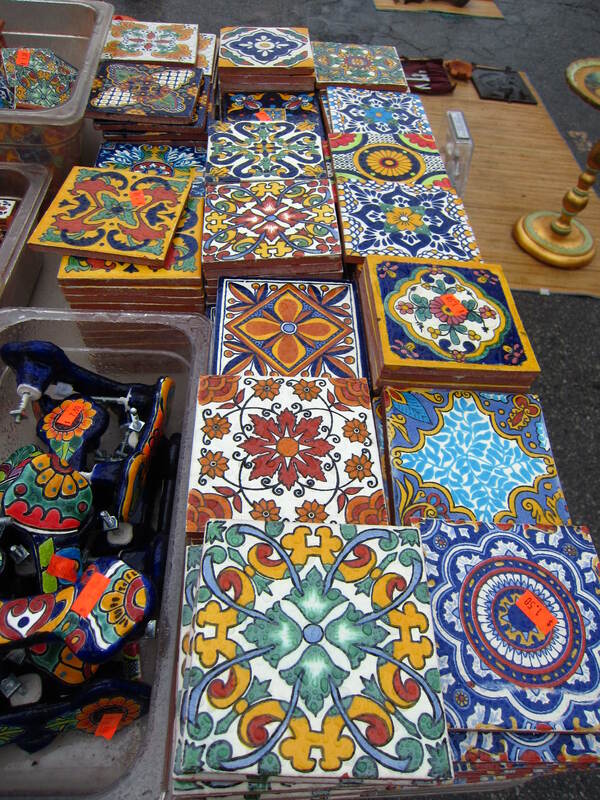 I love visiting different markets around the world and scouring the stalls for exotic treasures. 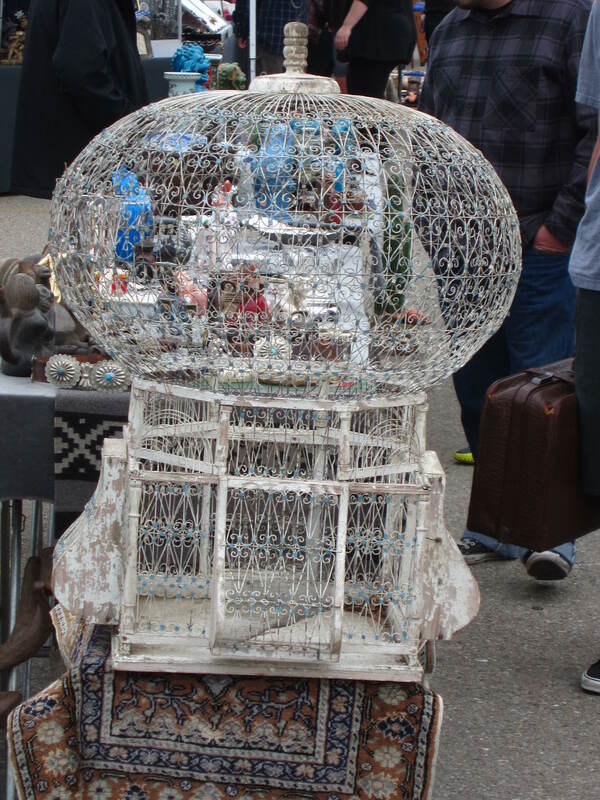 When I am not traveling abroad I like to visit the local flea markets in California in search for anything from a far away land. 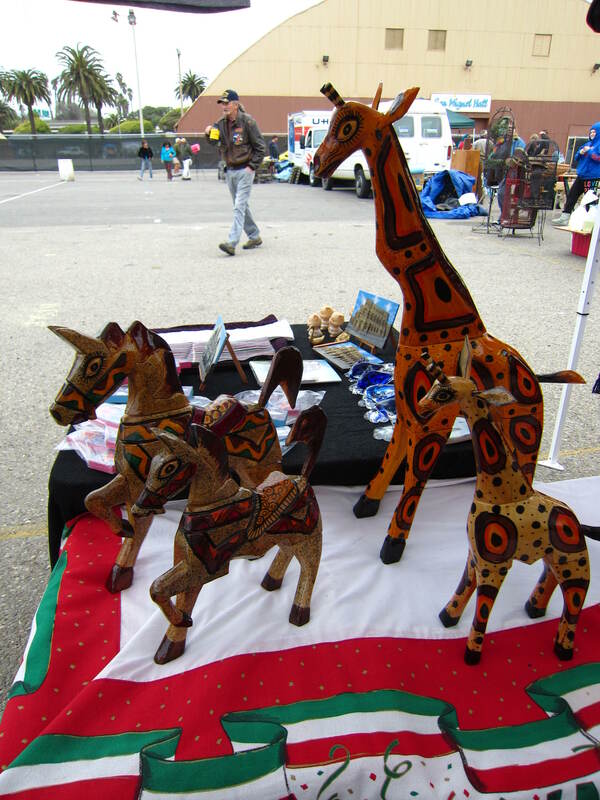 Yesterday, I visited the Ventura Flea Market, held at the Ventura County Fair Grounds. 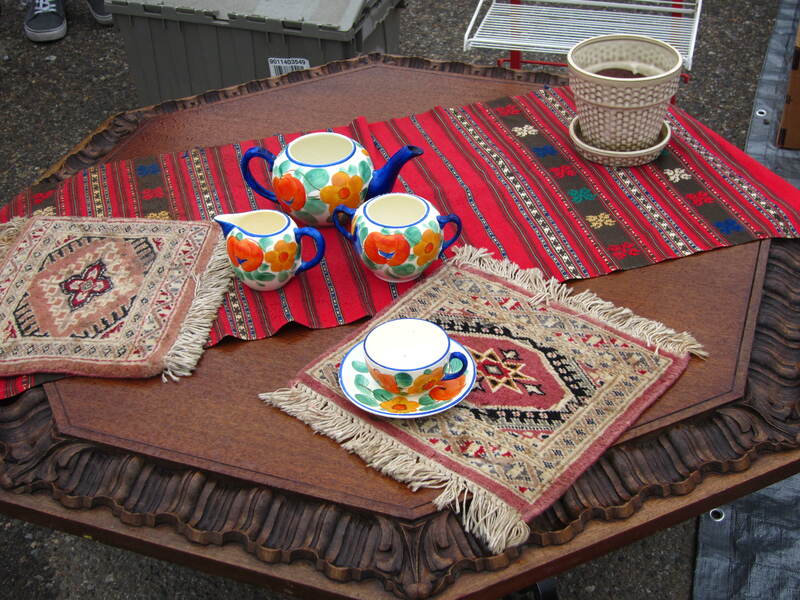 I had planned an outing to a group of thrift shops in Ventura but the flea market is only held six times a year, so it won out. When I arrived, it was not looking promising as there were about half the number of vendors compared to the last time I attended. Not sure if this was because it was Easter or just a slowing down of the flea market scene. Leave it to me to spend 1/3 of my money at the second stall from the entrance. 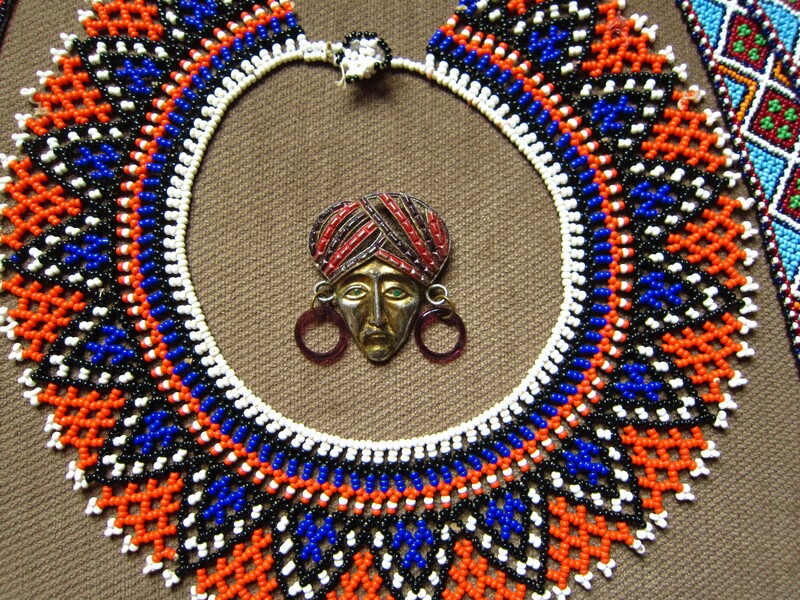 The seller had gotten these items at an estate sale and I am pretty sure all the beaded items are from South Africa. I also scored this cool brooch that I am going to make into a necklace. 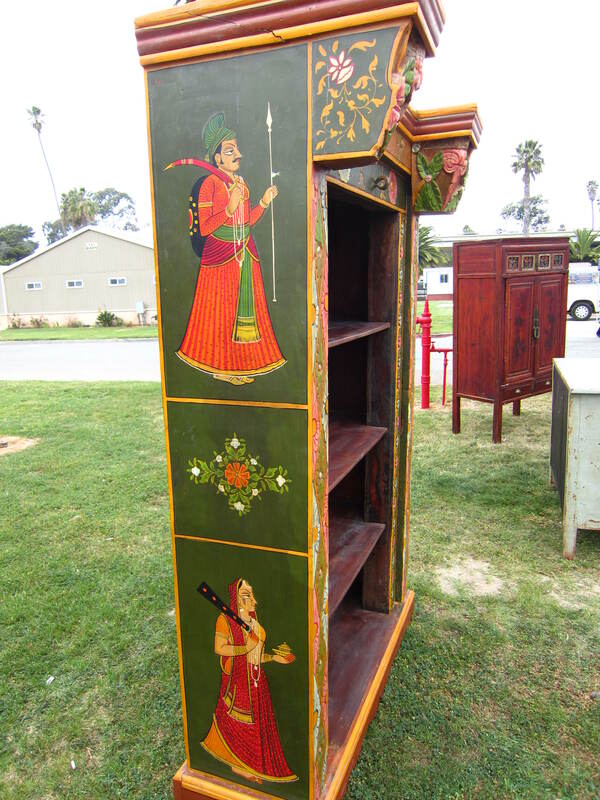 There were beautiful tiles and ceramics from Mexico, a colorful bookshelf hand painted with Indian motifs, a stunning Victorian birdcage that reminded me of the Taj Mahal, rows of colorful braided bracelets, ethnic tableware and carved animals. After only about an hour of walking around, the gray clouds opened up and it started to rain. I continued to look around and search for treasures. It takes more than a little rain to stop my shopping. I stumbled upon a stall that was meant for me. 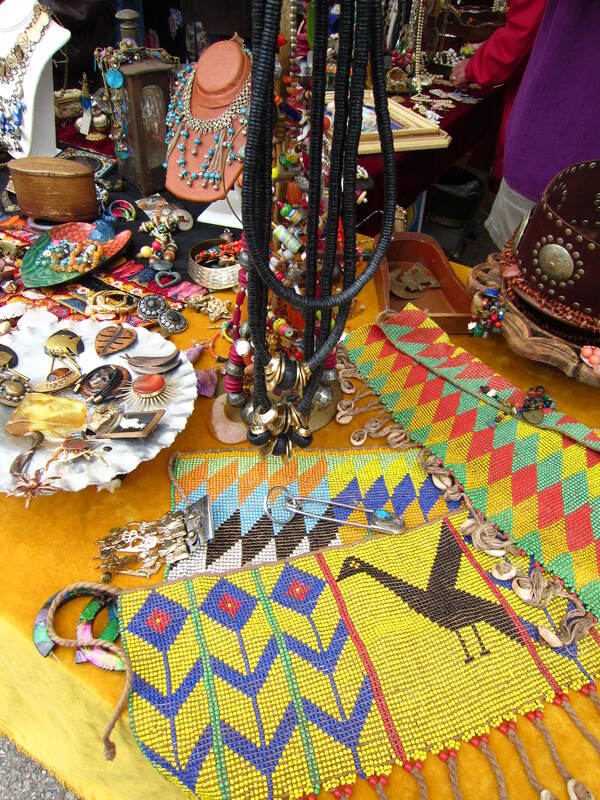 Filled to the brim with vintage, ethnic jewelry, beads and handbags. 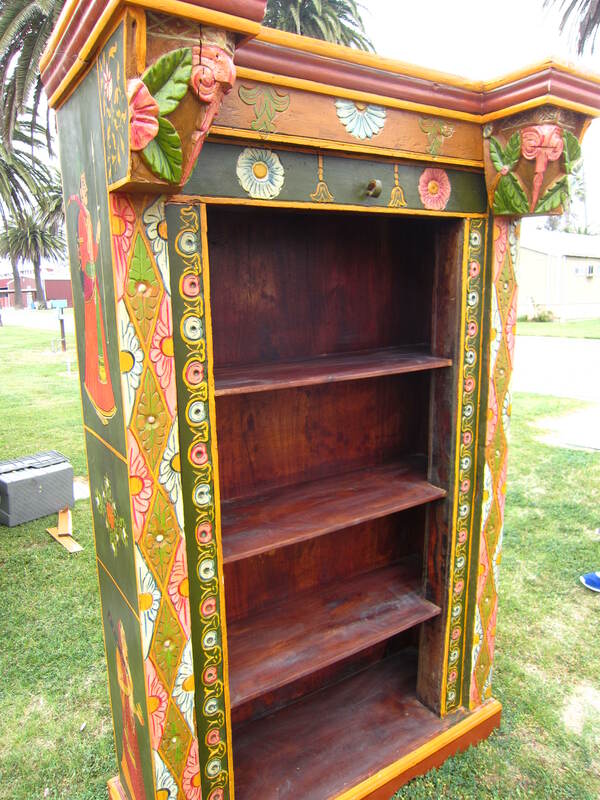 Wood, brass, animals and tribal elements were all draped on colorful throws, hanging from cool statues and brimming from old wooden boxes. 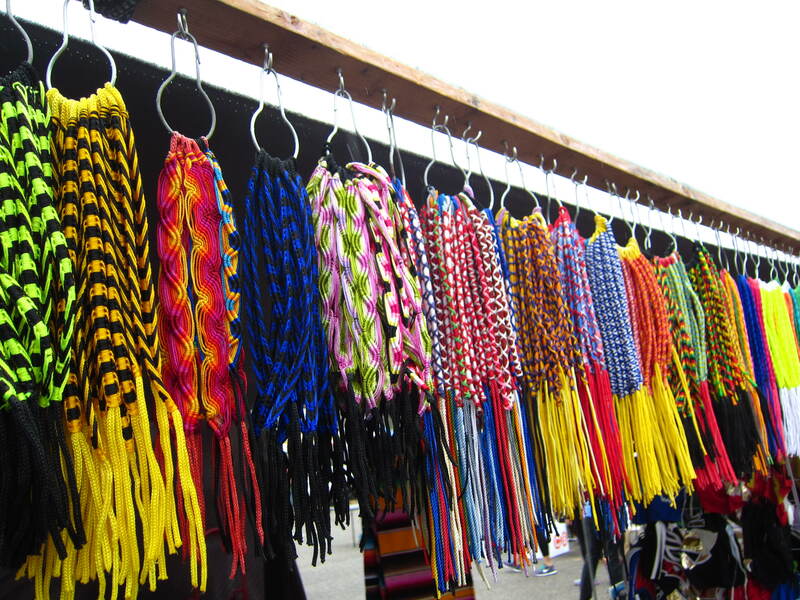 The key to a great flea market is finding that one stall that speaks to you. 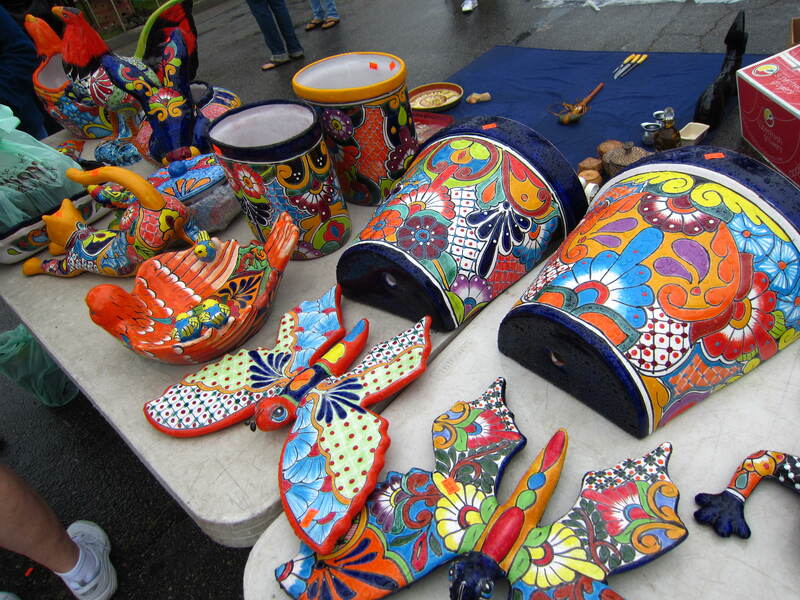 I spent the rest of my time, rain falling, rummaging through all the wonderful pieces they had. This stall made me feel like I fell into my passport and it gave me a big embrace. Below is what I ended up with, at a great price I might add. 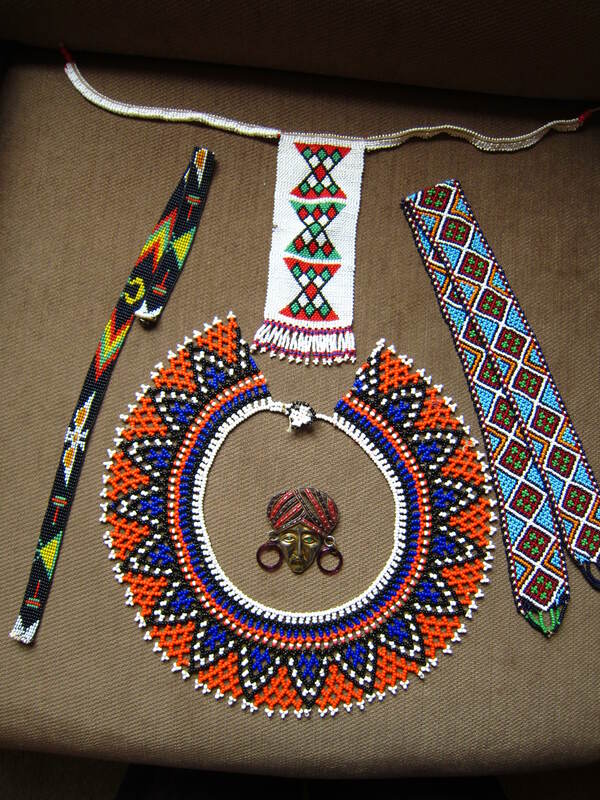 Two strands of handmade brass beads from Morocco, a multi-strand bead and brass necklace and inlaid floral bracelet from India, an Agate sun pendant that will make a great necklace, a brass love bird necklace, African bone and wood earrings & a tribal metal necklace with inlaid stones. 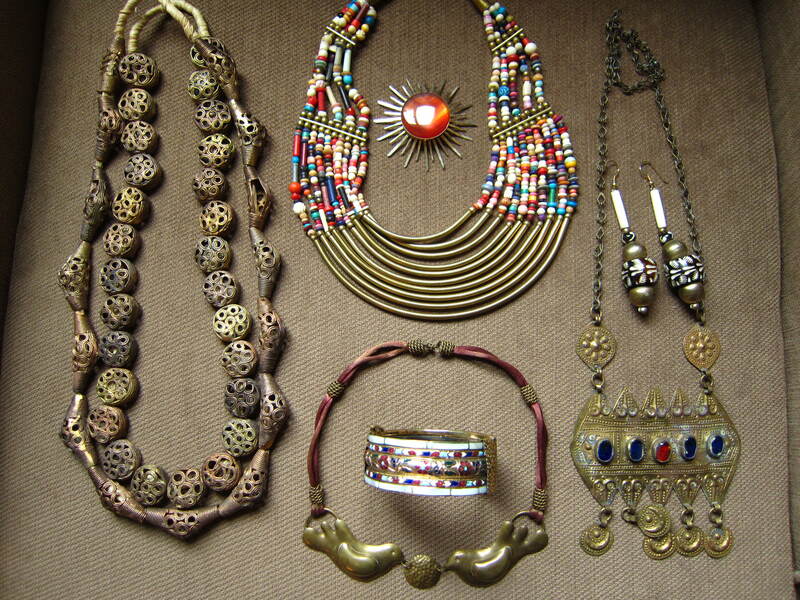 I was so happy to find all these amazing pieces and can’t wait to make jewelry out of some and incorporate the rest into my wardrobe. 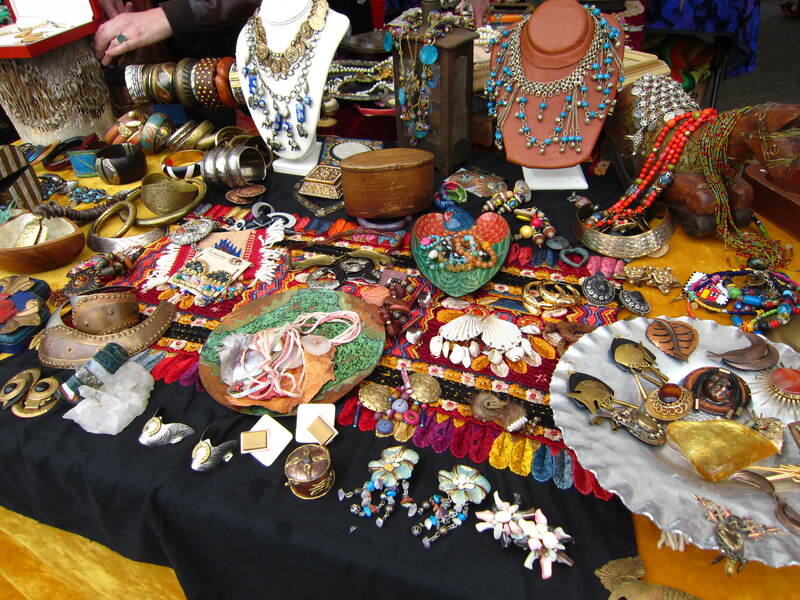 The Ventura Flea Market is always worth a visit and I am sure treasures await you there, if you are willing to search for them!